The conflict between Yemeni government forces and the militant Ansar Al Shariah group in southern Yemen has worsened the humanitarian crisis in a country where nearly half of the population is facing food insecurity and almost one million children are acutely malnourished. On 21 May, Médecins Sans Frontières (MSF) reported that it had “treated over 50 people over the last week amidst increased violence and fighting in southern Yemen”, noting that “all patients are civilians suffering from bomb-blast injuries.” In Lawder, in the southern governorate of Abyan, MSF staff “have been unable to refer patients to other health facilities as road blockages have made travel impossible”. 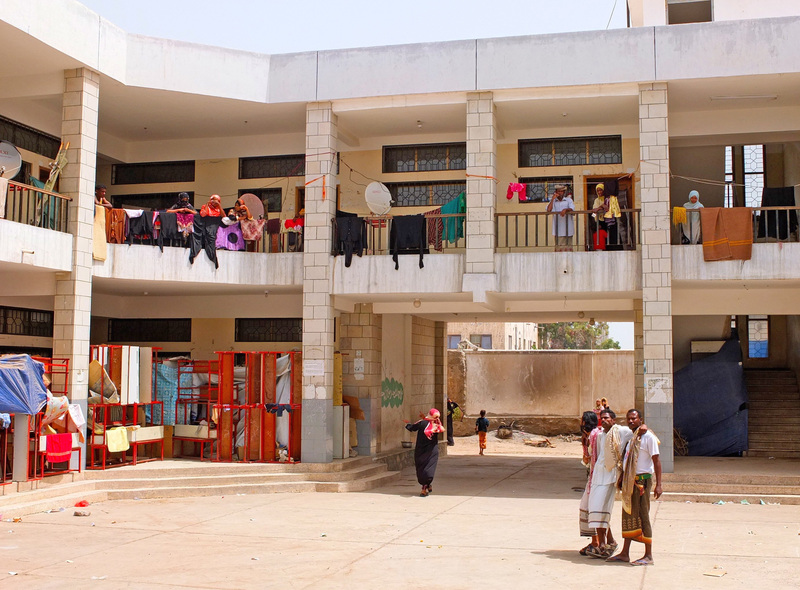 The conflict started in May 2011 when militants stormed Abyan’s capital, Zinjibar, about 30km from Aden. A pitched battle raged throughout the summer before demoralized Yemeni ground troops retreated, leaving the fight to Yemeni warplanes and US drones. By the time jihadists had overrun Zinjibar in late summer, tens of thousands in Abyan had fled their homes, further destabilizing surrounding areas and raising fears that Aden, the country’s biggest port, could be Ansar al-Shariah’s next target. To date, more than 150,000 Abyan residents have been displaced, according to Teddy Leposky, a spokesman for the UN Refugee Agency (UNHCR) sub-office in Aden. “About two-thirds of these internally displaced persons [IDPs] have fled to neighbouring Aden,” he told IRIN. Now in its third week, a government military campaign is reported to have taken back Zinjibar and Lawder, a militant bastion on Abyan’s eastern fringe. But the fighting has only worsened already dire humanitarian conditions. Only a handful of relief groups - the International Committee of the Red Cross (ICRC), the International Organization for Migration, MSF and local NGO Charitable Society for Social Welfare - have been given sufficient security assurances to work in the warring province. “The militants have made clear that international aid workers are not welcome in cities like Jaar,”Abdul-Hakeem Al Ofairi, deputy director of Partners-Yemen in Sana’a, told IRIN. The militant group, he added, may feel threatened by the relief workers, as “their work in those areas undermines Ansar Al Shariah’s efforts to gain the trust of the people because the international aid is directly related to the needs of the people… It touches their hearts and minds,” he said. The conflict has intensified at a time when the humanitarian crisis in Yemen has worsened. “New assessments this year document that conditions continue to deteriorate,” the UN humanitarian coordinator in Yemen, Ismail Ould Cheikh Ahmed, told a meeting of Friends of Yemen in Riyadh last week. The roots of the insurgency can be traced back to April 2011. Three months after anti-government protests engulfed Yemen’s major cities and three weeks after al-Qaeda in the Arabian Peninsula (AQAP) seized the southern hamlet of Jaar, AQAP’s chief Yemeni cleric Abu Zubayr Adil al-Abab unveiled a new brand of jihad. “Ansar al-Shariah [Partisans of Islamic Law] is what we use to introduce ourselves in areas where we work to tell people about our work and goals, and that we are on the path of Allah,” he said to a roomful of brothers in a jihad web forum. In the mutinous year since the cleric’s cyber sermon, the AQAP-affiliated Ansar Al Shariah, has made inroads into numerous towns near Jaar, staking claim to much of the governorate of Abyan, where tribes and central government are exceptionally weak. Yemen’s new president, Abd Rabu Mansur Hadi, has faced security threats from the new Al Qaeda affiliate as well. An hour before his 25 February inauguration ceremony, suspected Ansar Al Shariah militants detonated a car bomb outside the presidential palace in southern Yemen, killing some 21 Revolutionary Guard soldiers and injuring nine others. He followed through on the pledge beginning early May by deploying some 25,000 troops from eight brigades to Abyan. At the same time, US air strikes carried out by conventional forces and unmanned aerial vehicles have reached their highest levels ever in Yemen. In response to the strikes, Ansar al-Shariah deployed a suicide bomber to a large military gathering in the capital Sana’a on the eve of National Unity Day. At the conclusion of morning parade rehearsals on 21 May, while the young cadets were saluting their officers, the bomber infiltrated their ranks and detonated his explosives. The blast killed at least 90 soldiers and wounded more than 200, dealing a devastating blow to Hadi’s bid to eradicate Al Qaeda from Yemen. On its official Facebook page, Ansar al-Shariah claimed the attack, citing “retaliation” against “crimes” committed in Abyan over preceding weeks. During IRIN’s March reporting trip to Jaar, it appeared that Ansar Al Shariah had accomplished some of the Al Qaeda cleric’s populist-oriented goals. Many residents claimed that their “new government” had provided access to a steady supply of food, water and electricity. There are even reports that the group has sent Shariah legal scholars to rural courts backlogged with cases. This air of gratitude suggests that the new governors may be making headway towards another goal set out in Abab’s springtime talk: “We hope that when the people see us meet their demands, they will accept the methodology of the mujahideen and accept the implementation of Shariah,” he said. But the paradox of Ansar Al Shariah’s two-pronged strategy - cozying up to local populations through the provision of public services while recruiting some of them to fight - is that winning the hearts and minds of locals requires putting them at risk of military bombardment.